I can’t believe that Easter is already less than a week away! I guess it snuck up on me since I had been away, plus it was so late last year, but ready or not, it’s here. Does your family have any Easter traditions? A big brunch? A casual get together? An Easter egg hunt for the kids? Typical ham, potatoes, and traditional side dishes? My grandma always baked some special things at Easter, and this will be the first year she’s not with us. I am planning to make a few of her specialties for our family dinner, and will definitely be sharing them here! 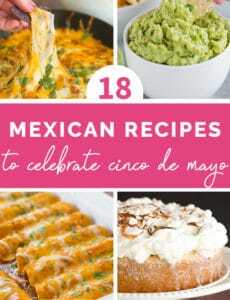 Aside from the recipes I’ll be sharing this week, I’ve also rounded up some of my favorite foods for Easter breakfasts, brunches, appetizers, side dishes, and desserts. If you’re putting together a menu this week, I think you’ll find some great ideas in the list below. Enjoy browsing! What is on your Easter menu this year? Hey where’s the Nut Roll? I know you cann’t please them all! Super list of great recipes! You just made my Easter! Thank you for all of the great ideas! 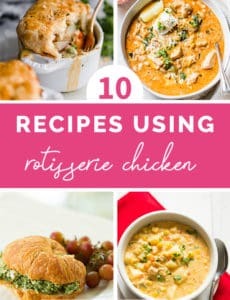 These all look like great recipes to try! Easter is really sneaking up on me this year, too! So many great recipes. Thank you for sharing. Beautiful cookies. I’ll be thinking of you and your family this Easter. I have a question for you that is not related to recipes, I see in the right hand corner the Rosetta Stone from Amazon. My son will be going into the 9th grade and has been begging me to purchase this for him because he wants to learn Italian. By chance have you used this program, or is it just an advertisement. I think I am going to purchase it for him so he can learn the language this summer. We don’t offer Italian at our high school just Spanish which he will also learn. I can answer for you, hope you don’t mind (I’m not Michelle, lol). The ads are unique to each of us, based on our browsing histories. You may see the Rosetta Stone ad because you may have searched for it at some point, or something similar. I see other things, geared more to my interests. Hope this helps! Hi Nicole, That is just a rotating Amazon ad. I have not used Rosetta Stone, but my mom used it for work, and I think she really liked it! Another post of yours I’m bookmarking! So many great recipes. 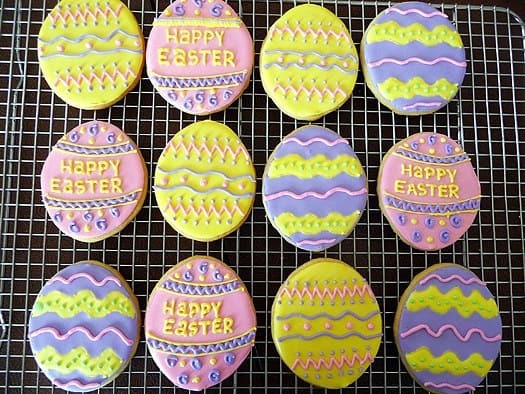 The easter egg cookies are so beautiful too! We switch from traditional Italian and Polish dishes. such a feast from both sides! Keilbsa , ham, pierogi,horseradish salads desserts too many to name. From the Italian side eggplant parmasean Brazoul (stuffed braised flank steak rollls,mannicotti ghoncci ect. The key is homemade from scrathch, including horseradish and manicotti crepes This year I `m doing a combo of both! Wow, this is quite the round up! Awesome, thanks! YOu gave me a lot of reading to do! Love the recipe round-up! Have a great week! Great recipe round up! I can’t believe Easter is on Sunday! There are so many fantastic ideas on here, Michelle! A big Easter brunch is one of my favorite things about the day. Your bacon and cheddar scones would be great! Our Easter (Greek) is actually next week, and it’s a BIG deal for us, full of traditions. We typically prepare a whole lamb on the spit, cooked outdoors for plenty of hours, with traditional folk music on the background!